Downloadable PDF brochures have become standard business tool for B2B, B2C and B2G marketing. A well-designed PDF brochure gives an overview of your key services and benefits, and allows the prospect to print it, take it on the run, forward it to their boss, or just have something tangible to read. We believe this is a must-have medium. Our standard PDF brochure design includes up to 8 pages, designed from client-provided content. Any necessary image discovery and image purchases are billed separately. 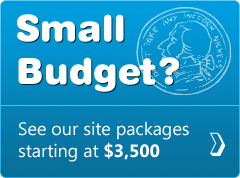 The cost usally runs between $1,500-$5,000 depending on how many pages and unique graphics are needed. For additional information about our services, please contact us.